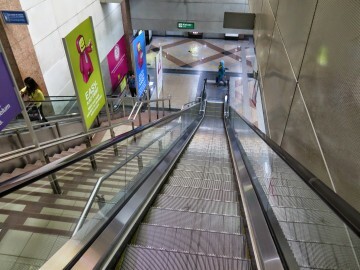 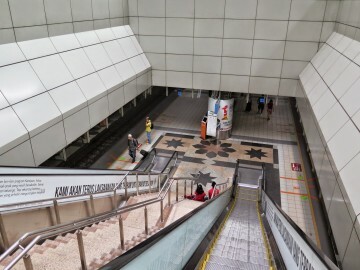 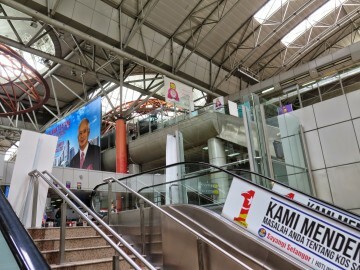 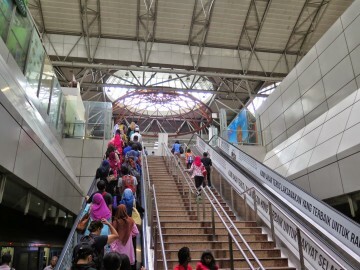 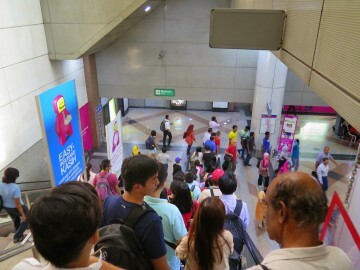 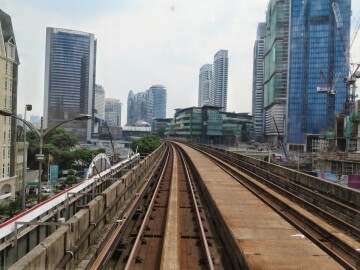 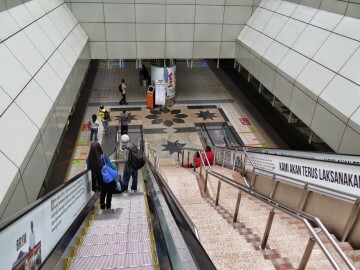 The Stesen Sentral Kuala Lumpur, commonly known as KL Sentral, stands at the core of the 72-acre KL Sentral Development along Jalan Damansara and Jalan Travers. 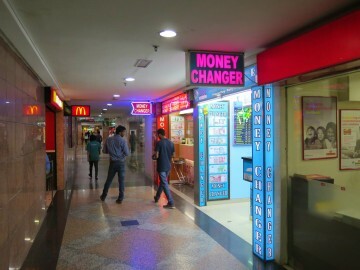 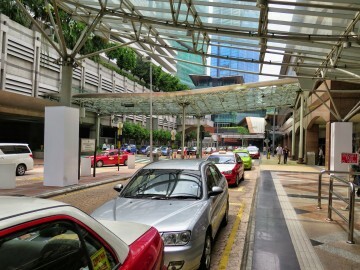 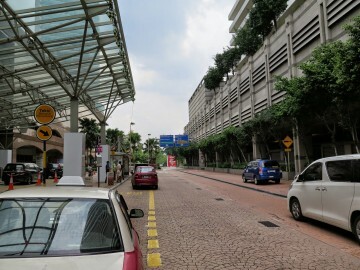 It is strategically situated approximately 1.5 km from the South-West edge of the Central Business District (CBD) of Kuala Lumpur, the capital of Malaysia. 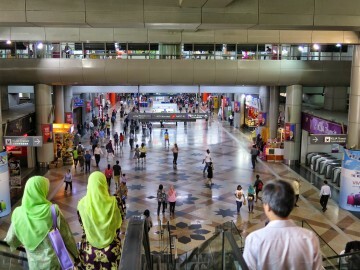 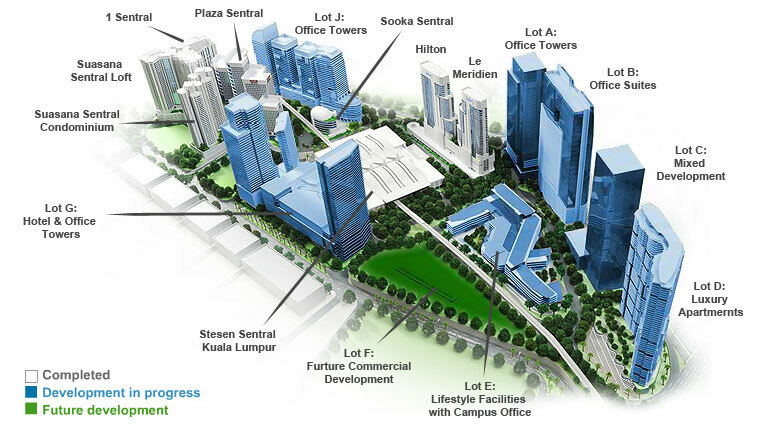 The Stesen Sentral Kuala Lumpur is built as the state-of-the-art transportation hub for Kuala Lumpur’s integrated rail transportation, seamlessly links all urban and suburban residential, commercial and industrial areas. 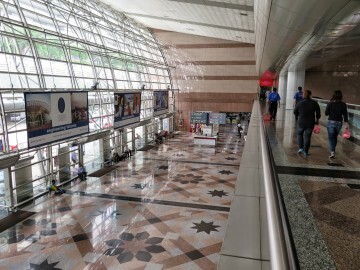 The Stesen Sentral Kuala Lumpur accommodates amazing connectivity with direct access to six rail systems and links to major highways. 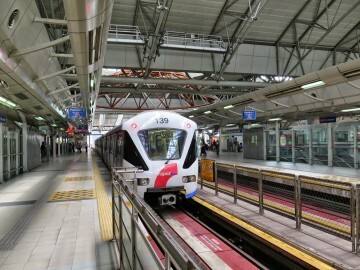 KTM Intercity – trains that connect from Kuala Lumpur to Bangkok, Thailand and Singapore. 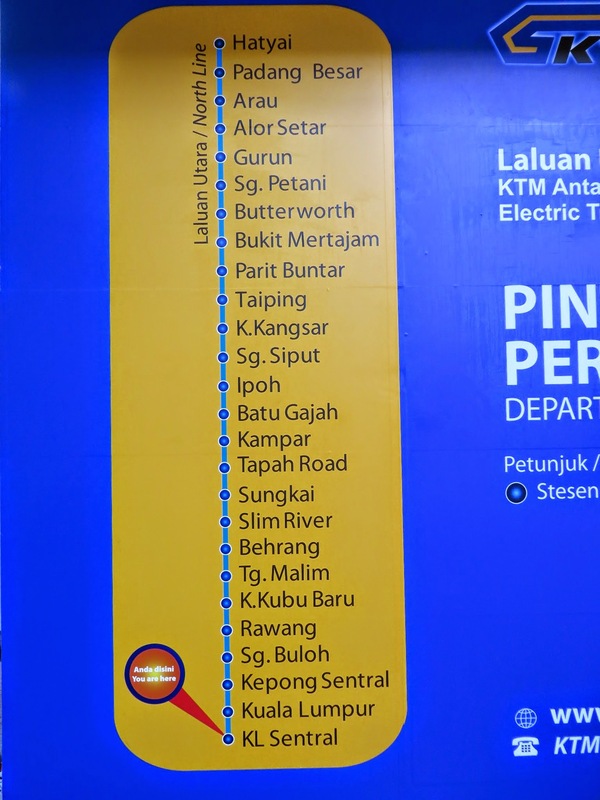 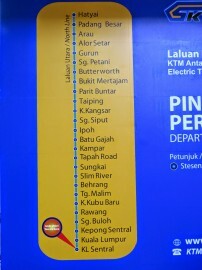 KTM Komuter – Klang Valley electric commuter train servicing Sentul to Port Klang, and Rawang to Seremban. 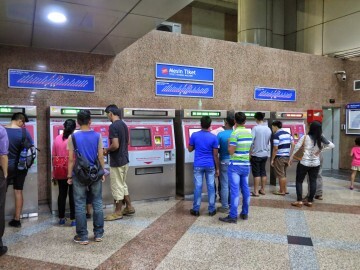 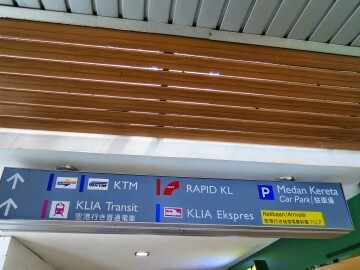 RapidKL LRT – RapidKL’s Ampang Line and Kelana Jaya Line LRT systems serve the Kuala Lumpur’s metropolitan area. 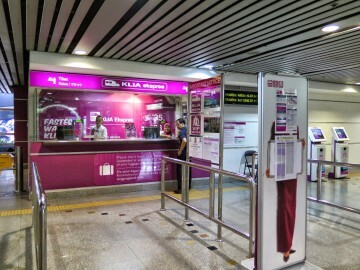 KL Monorail – Monorail service servicing passengers between KL Sentral station and Titiwangsa station. 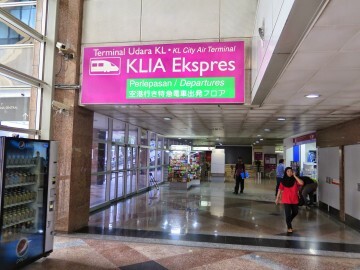 KLIA Ekspres – High-speed direct, non-stop train to the KLIA and klia2 airports. 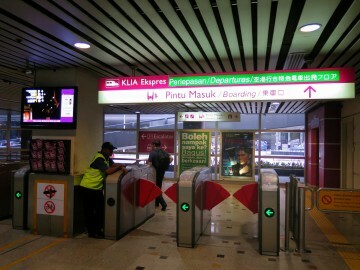 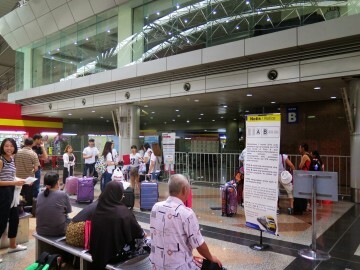 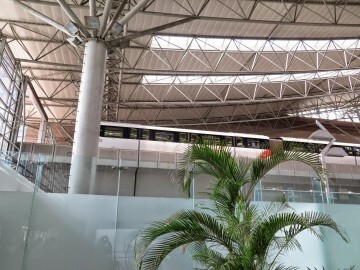 KLIA Transit – High-speed commuter train service with quick stops to the KLIA and KLIA2 airports. 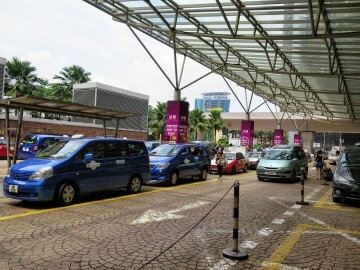 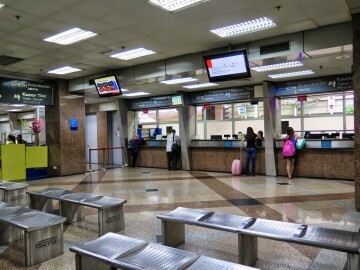 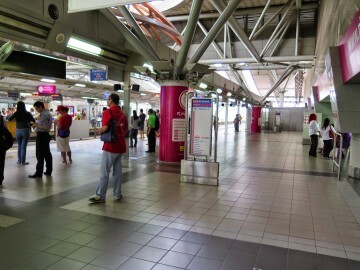 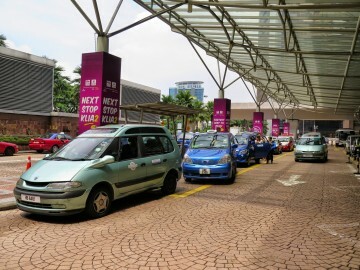 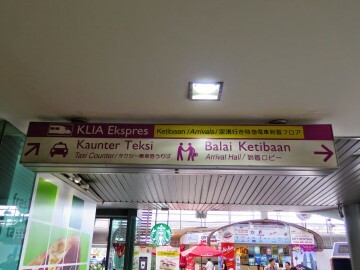 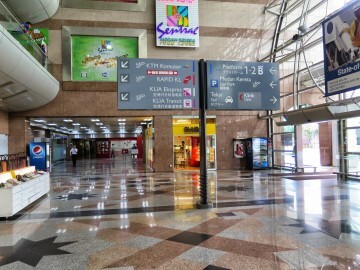 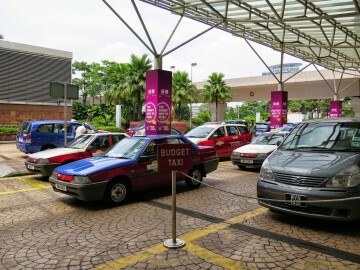 The Taxi Services are available at the Stesen Sentral Kuala Lumpur. 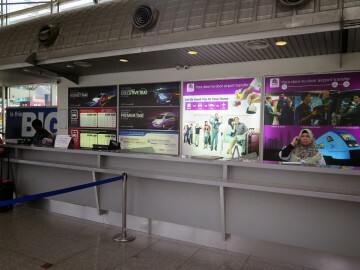 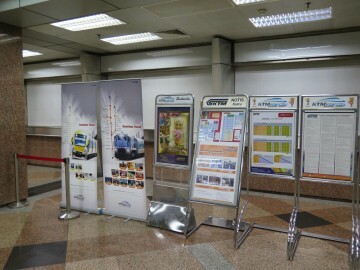 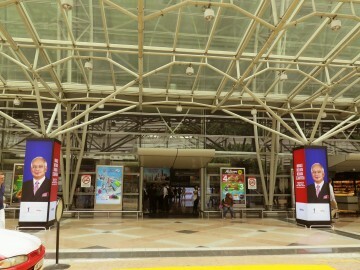 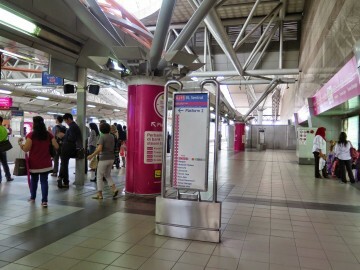 You need to purchase the coupon at the taxi ticket counters then exit Door 2 to use the taxi services. 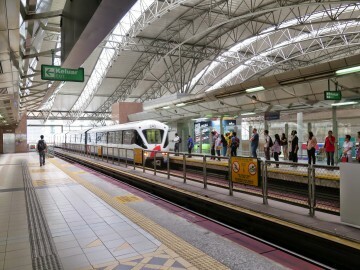 The RapidKL LRT is a light rail transit system / rapid transit in central Kuala Lumpur serving a large part of the Kuala Lumpur metropolitan area – the heartland of Malaysia’s industry and commerce. 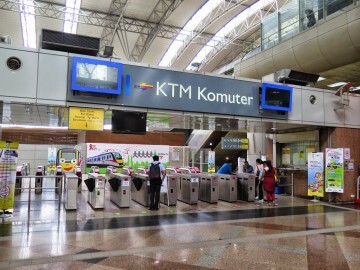 The KTM Komuter is the first electrified commuter train service in Malaysia. 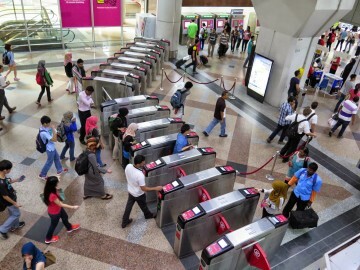 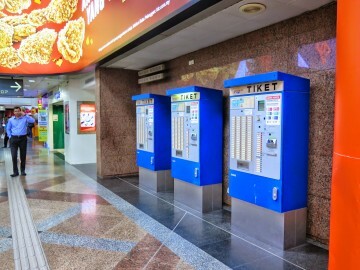 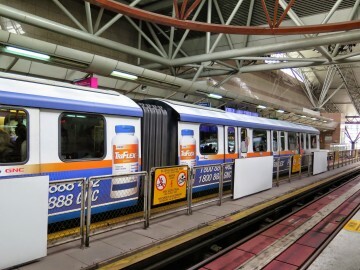 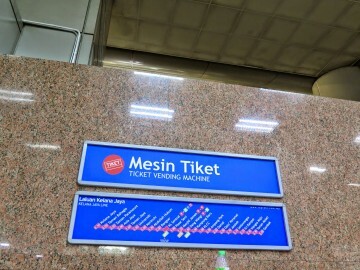 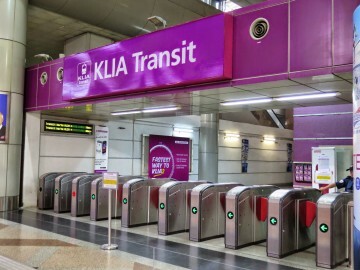 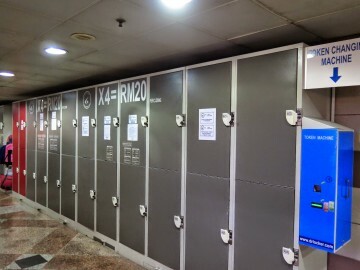 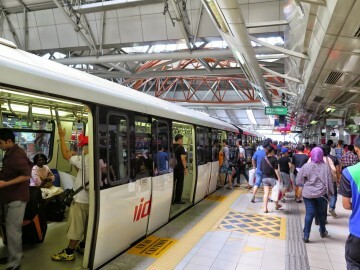 It was introduced in 1995 to cater especially to commuters in Kuala Lumpur and the surrounding sub-urban areas and is a popular mode of transport to commute to Kuala Lumpur. 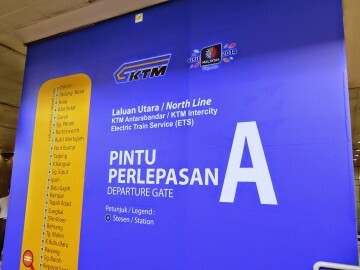 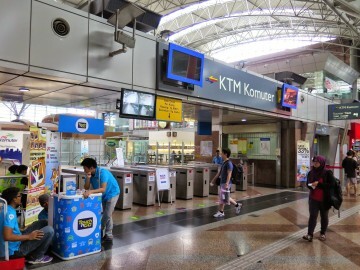 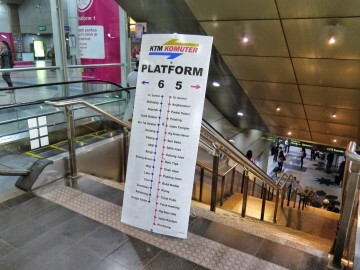 The KTM Komuter train network covers about 217km length of network that has 53 stations. 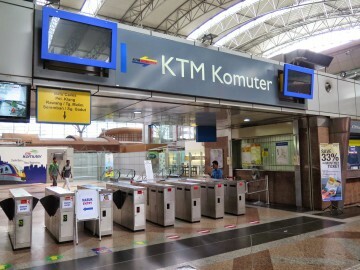 The KTM Intercity is the brand name for a group of diesel-hauled intercity train services in Peninsular Malaysia, Singapore and Thailand operated by Keretapi Tanah Melayu Berhad (KTMB). 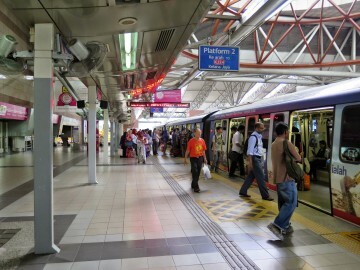 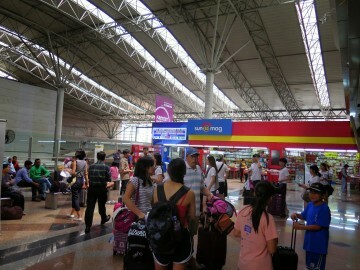 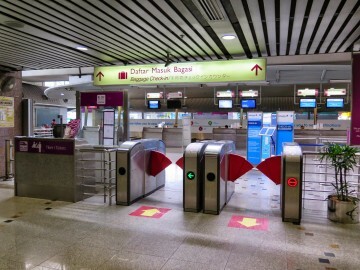 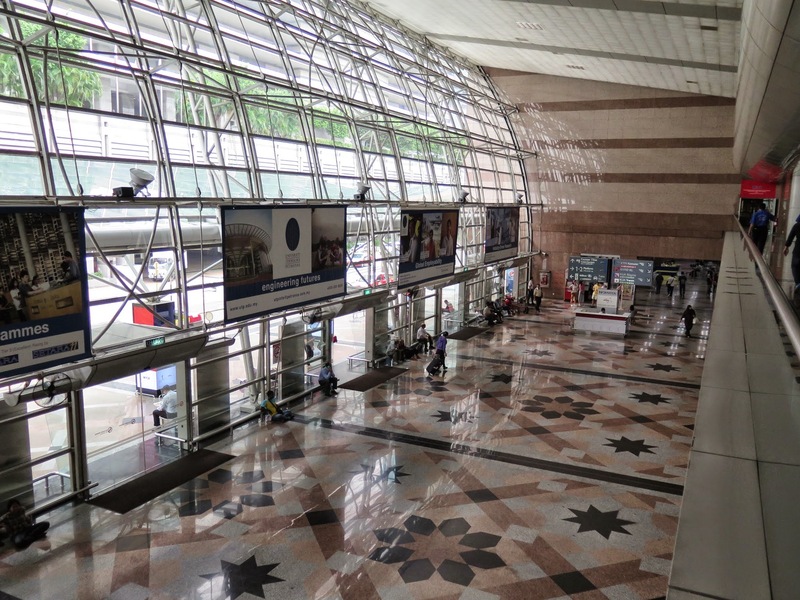 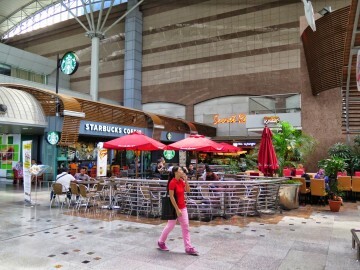 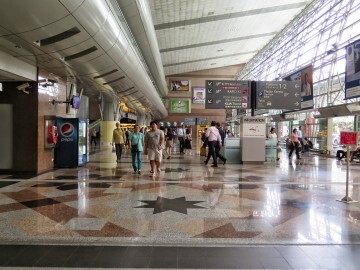 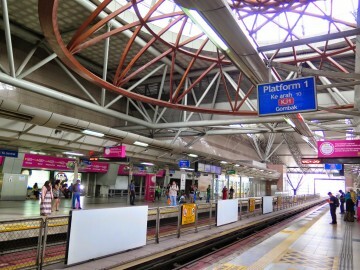 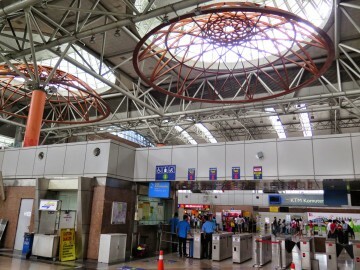 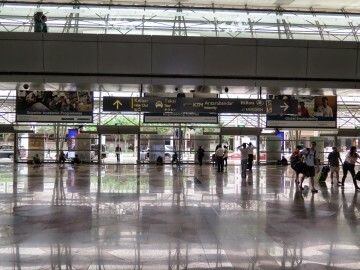 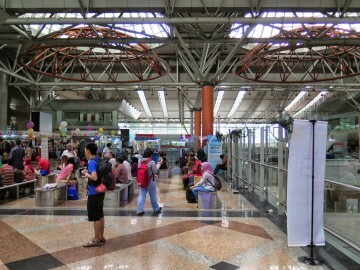 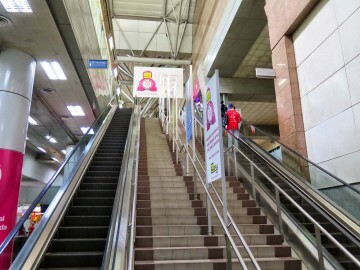 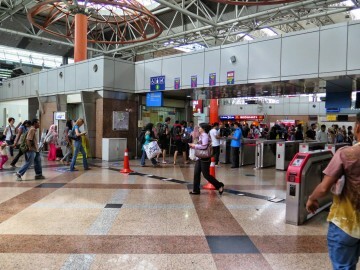 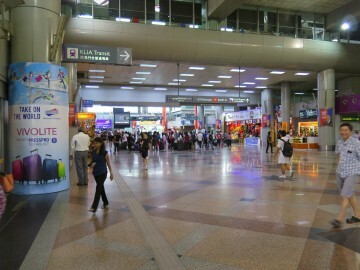 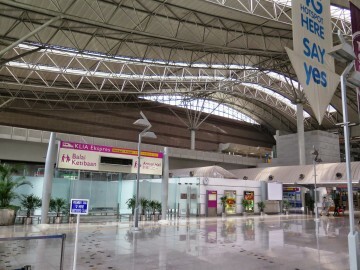 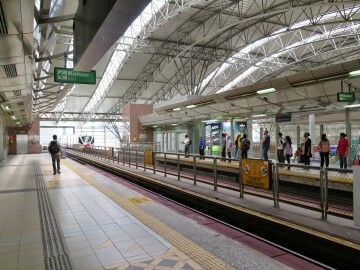 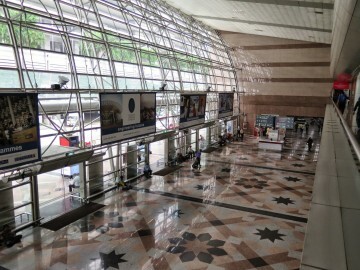 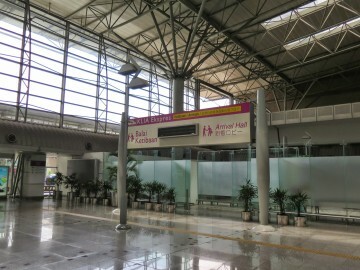 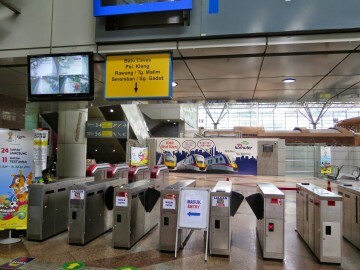 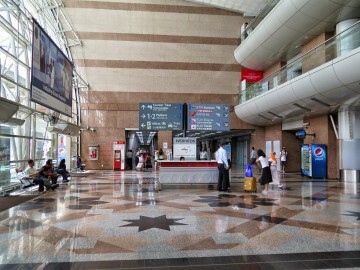 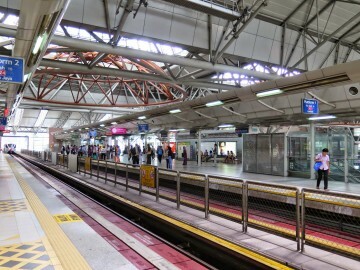 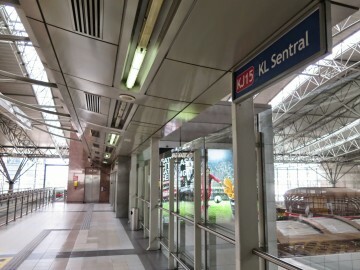 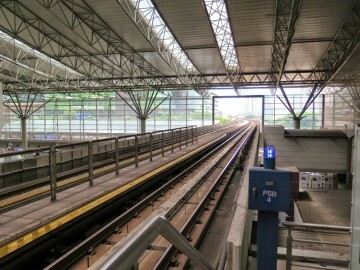 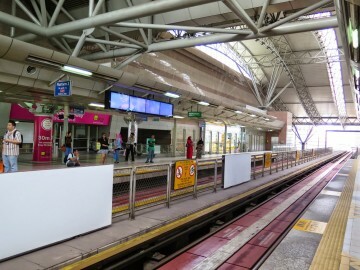 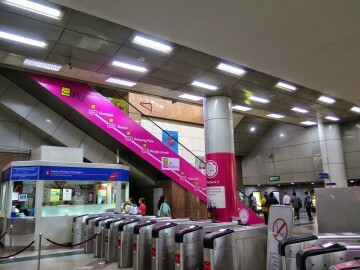 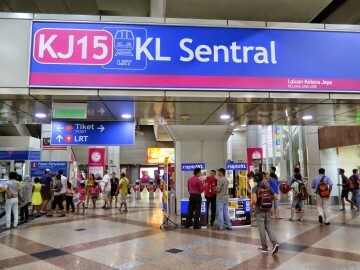 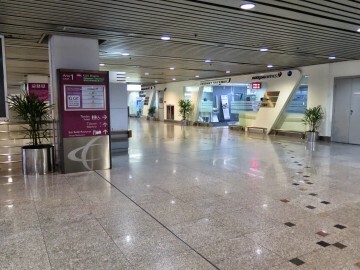 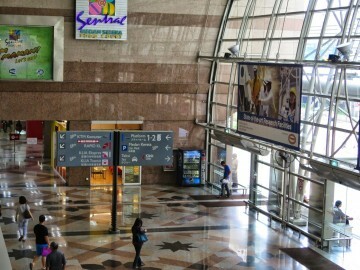 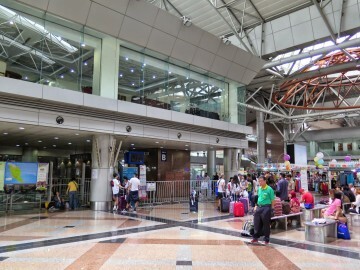 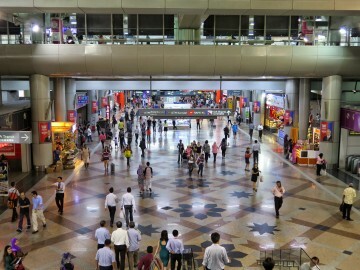 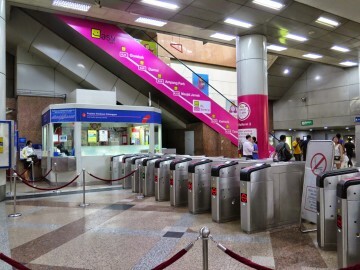 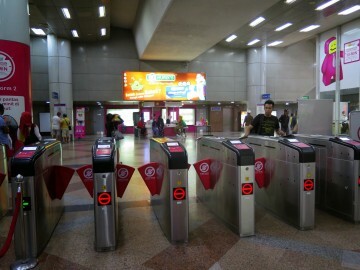 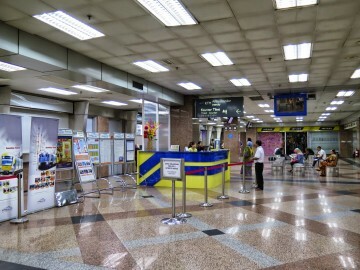 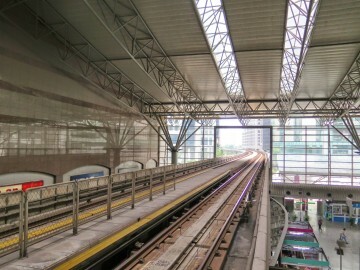 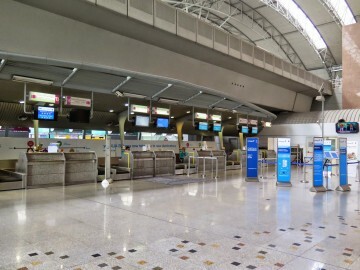 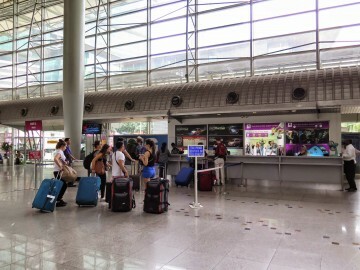 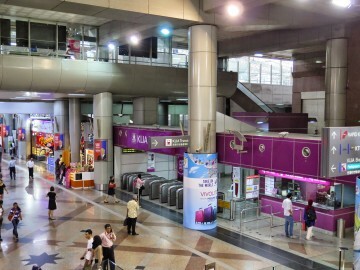 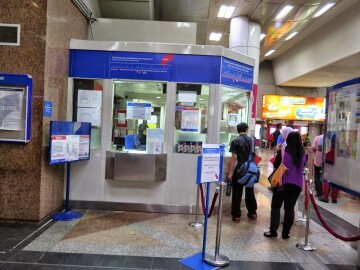 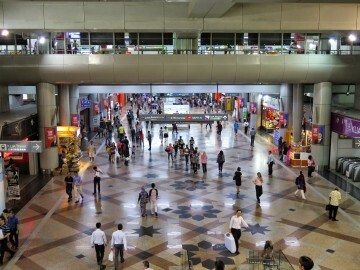 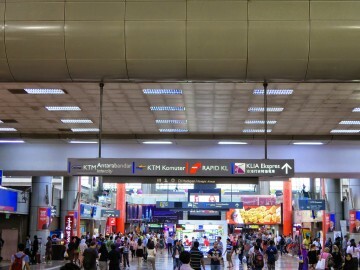 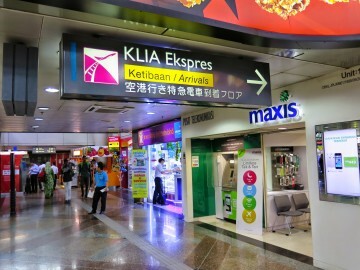 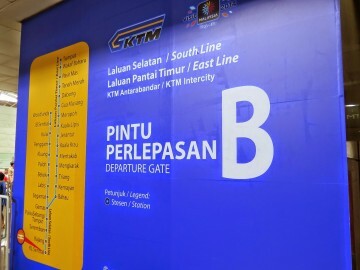 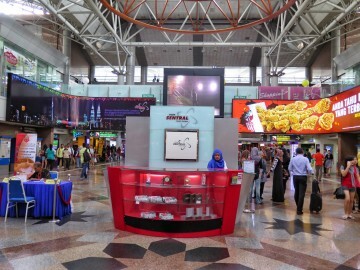 Most services operate from Kuala Lumpur Sentral station in the Malaysian capital. 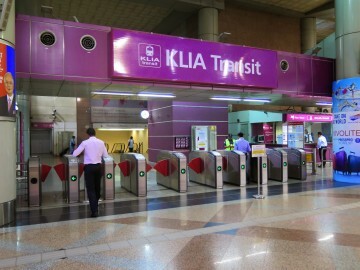 The KLIA Transit train service is a rapid transit service designed specially for commuters and airport personnel to travel to KLIA2. 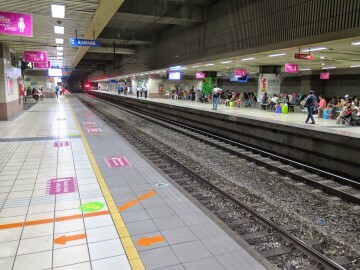 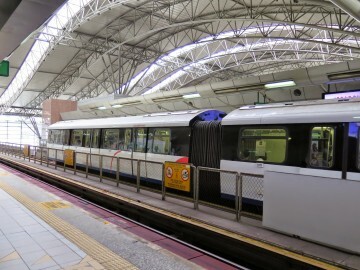 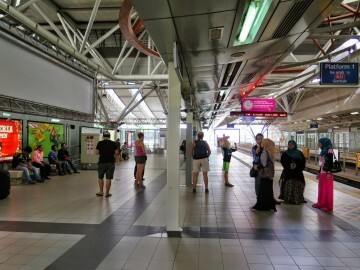 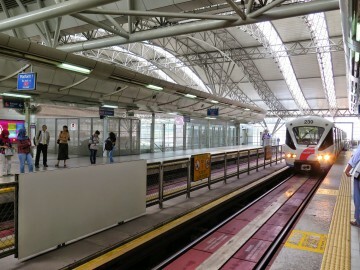 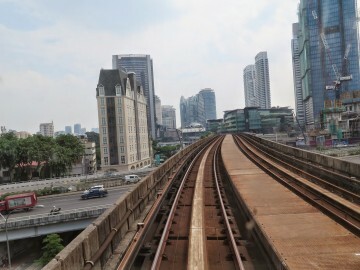 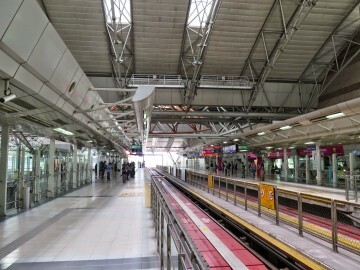 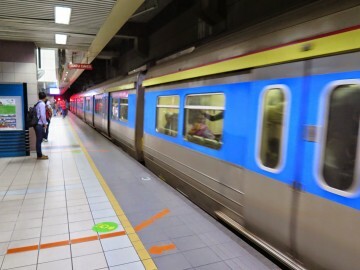 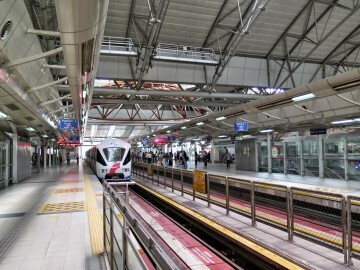 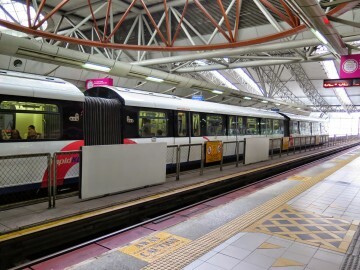 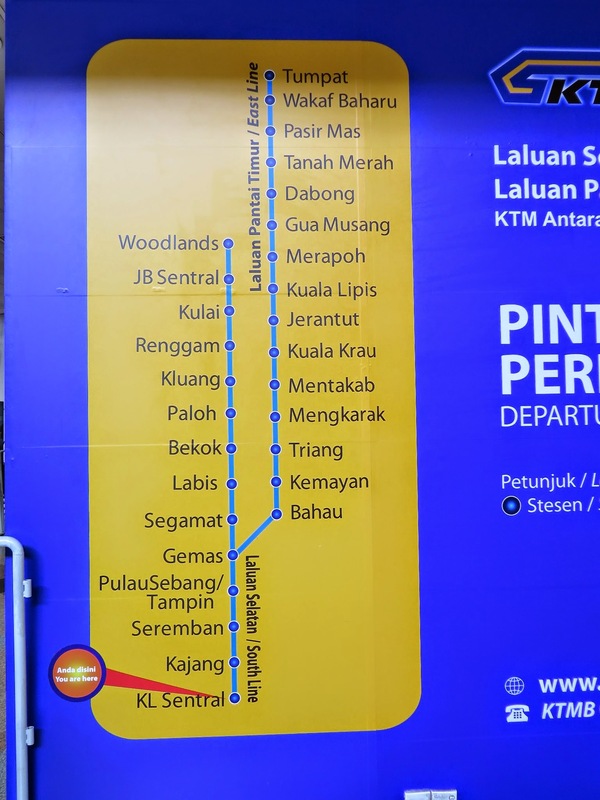 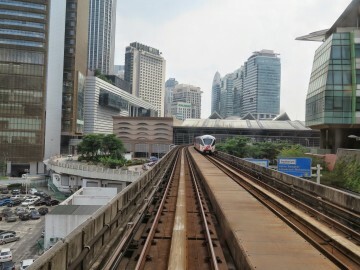 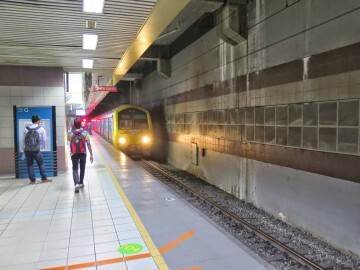 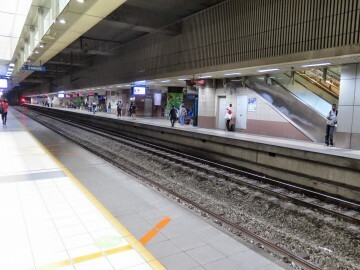 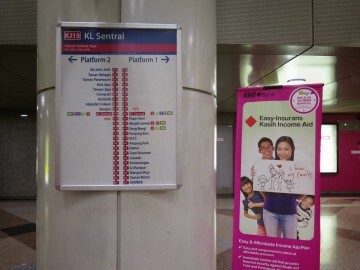 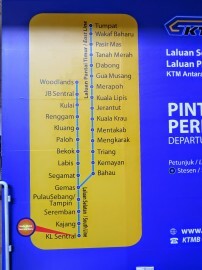 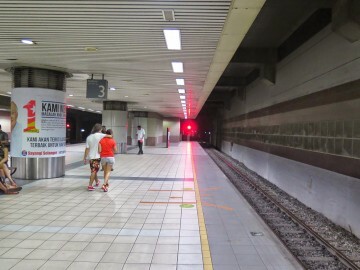 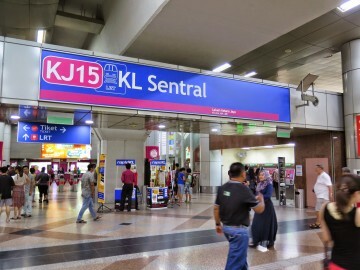 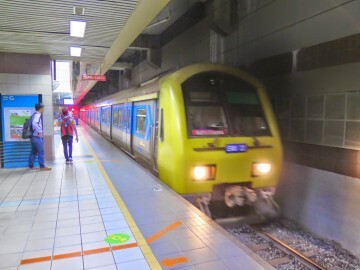 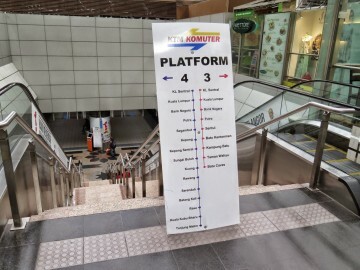 Just like KLIA Ekspres, the KLIA Transit train service shares the same tracks as the KLIA Ekspres connecting KLIA2 and KL Sentral at Kuala Lumpur city centre. 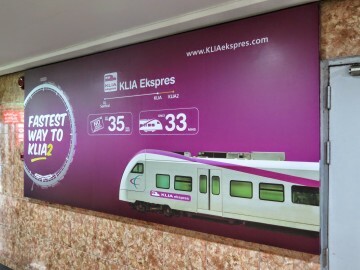 The KLIA Ekspres is the fastest, environmentally friendly and most convenient way of travelling to and from Kuala Lumpur International Airport (KLIA) and Kuala Lumpur city center. 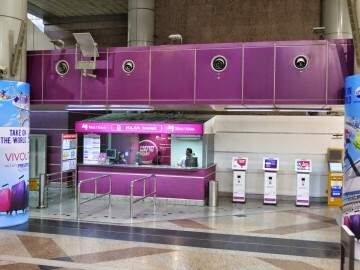 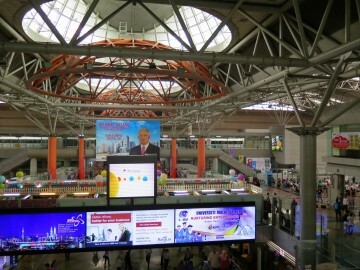 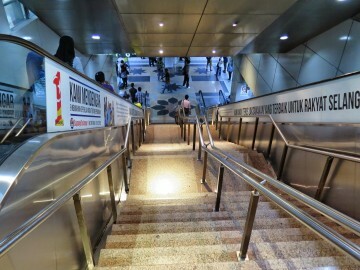 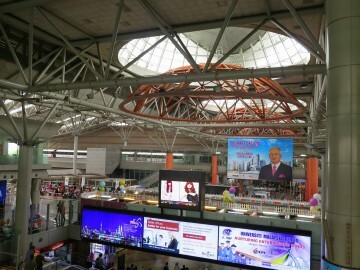 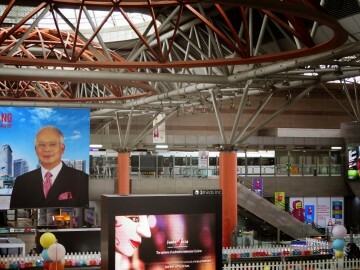 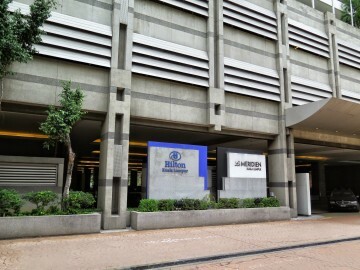 The Stesen Sentral Kuala Lumpur was designed by Dr Kisho Kurukawa, together with Malaysian consultants. 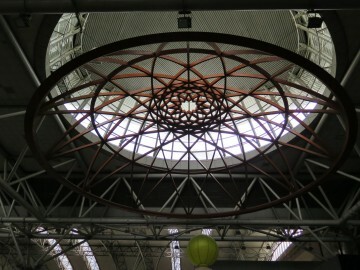 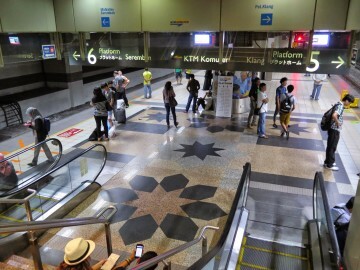 The contemporary architecture of the station incorporates traditional Islamic motives of a multi-pointed star, which can be seen on the dome and the floor tiles.